Wealthify on a mission to make investing social! Create a circle and invite friends or family to join – if they do, you’ll all save on your Wealthify management fees. 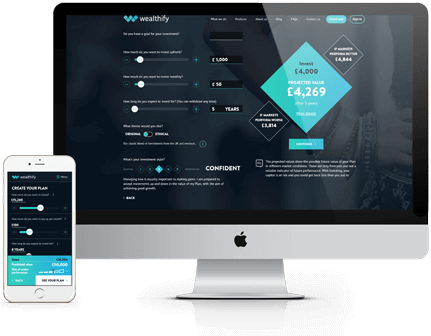 Emma invests £15k and 6 people join her circle and start investing with Wealthify too, so they all get a 10% discount on their management fees. The bigger your circle, the bigger your discount, so don’t be a square, start a circle today and shrink your fees. Wealthify helps you to break down the barriers to investing. You can start with as much or as little as you like in a Stocks and Shares ISA, Investment ISA, a general investment plan, or an ethical investment ISA. It takes less than 10 minutes to sign up and Wealthify’s experts do everything, picking your investments and managing them for you, every day.